This stunning arrangement will delight the most discerning of flower lovers. Designed to be ready to enjoy from the moment it arrives. 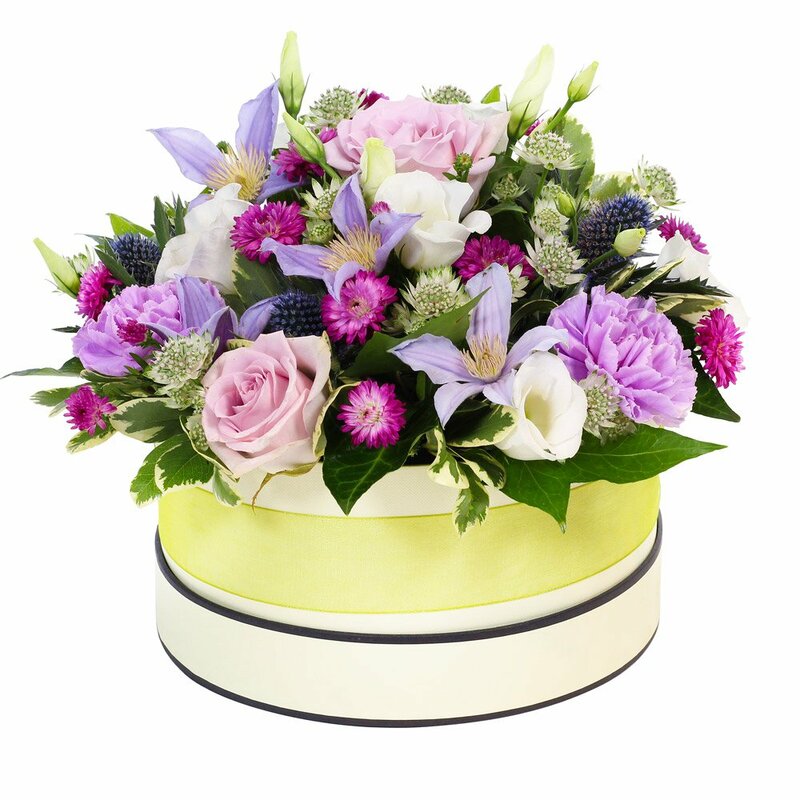 A sumptuous mix of luxurious shades of purple, white and pink roses, complimented perfectly with fresh emerald foliage. This gorgeous arrangement is the perfect gift for any occasion which will scream elegance and class.